﻿ Google Cloud Computing, Software as a Service, SaaS, Platform as a Service, PaaS, Infrastructure as a Service, IaaS. Google has been pushing the technological bounds of cloud computing for more than ten years. Today, feedback and usage statistics from hundreds of millions of users in the real world helps Google to bring stress-tested innovation to business customers at an unprecedented pace. From Google’s consumer user base, Google quickly learn which new features would be useful in the business context, refine those features, and make them available to Google Apps customers with minimal delay. The web is the epicenter of innovation, and Google's multi-tenant infrastructure is designed so that Google can push improvements to there entire customer base on short iteration cycles. Google can deliver new functionality on a weekly basis, or faster, because there systems are able to distribute updates so efficiently. Browser-based applications are another key ingredient in Google’s recipe for rapid innovation. When Google launches new features in there web applications, users automatically get these improvements just by refreshing their browsers. There mobile browser applications also get new features without software updates. With traditional technology and "software plus services", client software is an innovation bottleneck. Even after back-end systems can support new features, users don't get new functionality in those environments until the software on their computers and mobile phones have been upgraded, which can be an expensive and labor-intensive project. Rapid innovation powered by the cloud has another advantage over traditional technology cycles: employees adapt to a continuous stream of manageable improvements better than they tolerate large, disruptive batches of change. Gradual iterations in bite-sized chunks substantially reduce change-management challenges. Conversely, employees are subjected to a painful re-learning cycle each time companies upgrade traditional software. Web-based applications powered by Google's global infrastructure give workers full access to their information across devices, so they can be productive in more places. Their data is stored in the cloud - not on one particular computer - so employees can connect with all of their information and get work done from any Internet connection. Google's infrastructure gives users seamless access to their information at work, at home, on the road and from their mobile devices. With traditional technology, important information can be trapped in software only available on a limited set of devices, preventing employees from being their most productive. Because data in Google Apps is stored in the cloud instead of on employee computers, multiple users can access and contribute to projects simultaneously without worrying about using the same operating system, software, or browser. 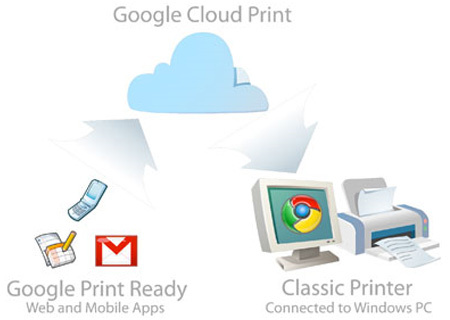 For example, instead of collaborating on a document by sending back and forth revision after revision as attachments, documents are stored in the cloud with Google Apps. Coworkers can access the web-based document simultaneously in their browsers, and even make changes that other authorized users can see in real-time. Eliminating attachment round-trips by storing data in the cloud saves time and reduces frustrations for teams who need to work together efficiently. Google's large investments in physical and process-based security are passed on to customers. First, Google is able to hire many of the worlds leading security experts to protect user’s systems and conduct cutting-edge security research. Google’s data centers are hardened with many of the latest measures in security precautions, including biometric access controls and multi-tiered security perimeters. Furthermore, Google has implemented a multi-layered security process protocol designed to help keep customer data safe. Google is able to efficiently manage security updates across user’s nearly homogeneous global cloud computing infrastructure, so customer aren't exposed to known vulnerabilities until they install security patches themselves. Browser-based applications also help keep sensitive data more secure. Unlike traditional software, when a user is finished using a web-based application, minimal data is left on the machine that could be compromised. Also, when employees can securely access their data from any browser, they're less likely to store data locally on unsecured end-points like thumb drives. Through synchronous replication, data and user actions in Google Apps are mirrored in nearly real-time across multiple data centers. If one data center becomes unavailable for any reason, the system is designed to instantly fall back to a secondary data center with no user-visible interruption in service. For Google Apps customers, there recovery point objective (RPO) design target is zero, and there recovery time objective (RTO) design target is instant failover. Gmail, Google Calendar, Google Talk, Google Groups, Google Docs and Google Sites have a 99.9% uptime guarantee, and Google’s actual reliability has been significantly higher than this commitment. Attempting to replicate this level of reliability with on-premises or hosted technology is tremendously costly and complex. Even very large enterprises with state-of-the-art disaster recovery systems typically target a recovery time of one hour and accept the loss of one hour's worth of data. Moving to Google's cloud doesn't mean you lose control of your data or your technology. Google Apps provides controls so that administrators can manage which applications their users can access and how employees can use each service. Finally, Google Apps APIs allow administrators build custom functionality and integrations with other technologies. Google buys raw computer parts in massive quantities, and assembles custom servers with few unnecessary components. Not only do the customers save costs on hardware, but also minimize overhead by consolidating on a very small number of server configurations that can be managed in bulk globally at an extremely efficient ratio of staff to machines. On a per-user basis, these economies of scale allow Google Apps to operate at higher levels of efficiency than can be achieved by customers themselves. Further cost savings are also made possible by applications that run in the browser. Customers save time and money because there's no specialized software to license, patch and periodically replace.